Courtesy of Specialist Realty Group Inc.
LOOK NO MORE!!!!! THIS HOME IS MOVE IN READY FABULOUS 6 BEDROOM 4 FULL BATHS UPGRADED HOME IN THE COMMUNITY OF OF SUNSET. INCREDIBLE BACKYARD OVERLOOKING THE POOL AND STUNNING VIEW OF THE LAKE. THIS BEAUTIFUL HOME HAS TONS OF UPGRADES. THIS COMMUNITY OFFERS A FABULOUS CLUBHOUSE. DON'T MISS OUT ON THIS ONE CALL FOR SHOWING. 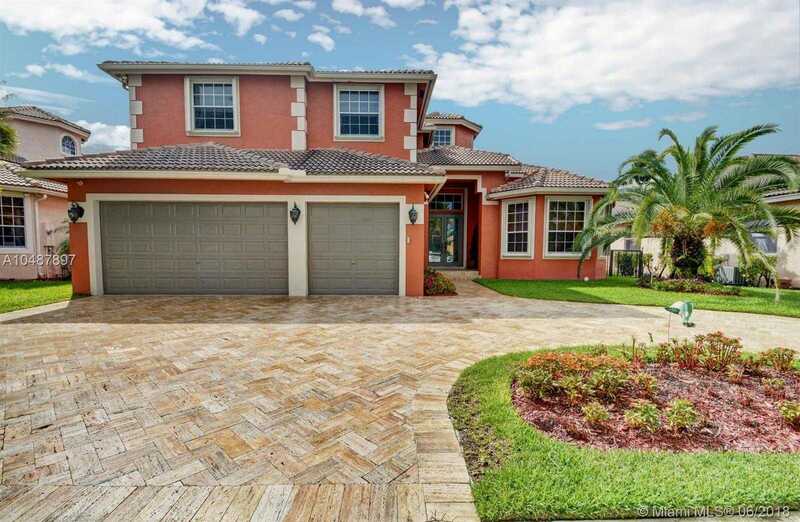 Please, send me more information on this property: MLS# A10487897 – $899,000 – Miramar, FL 33029.